In 1941, Bobby Doerr was an All-Star, the first of nine times he was a selected for the AL All-Star team. In 1944, Doerr led the league in slugging percentage. The same year, his .325 batting average was good enough to allow him to finish second in the league, two percentage points behind Lou Boudreau of the Cleveland Indians. The Sporting News named him Most Valuable Player for the American League (AL), although he finished only seventh in Major League Baseball Most Valuable Player Award voting for the AL. Doerr hit for the cycle twice in his career; on May 17, 1944, in a 12–8 loss to the St. Louis Browns in the second game of a doubleheader, and again on May 13, 1947, in a 19–6 win over the Chicago White Sox. Doerr missed the 1945 season while serving in the Army during World War II, being stationed at Camp Roberts, California. 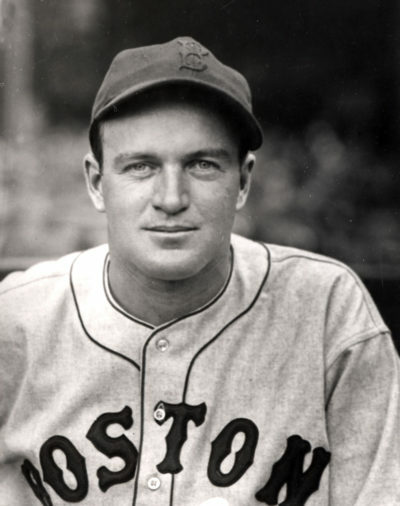 In 1946, Doerr finished third in MVP voting for the AL (won by Williams). Doerr drove in 116 runs despite a .271 average. He hit .409 in the 1946 World Series loss to the St. Louis Cardinals, with a home run and three RBIs. Doerr’s average dropped to .258 in 1947 as he grounded into a league-high 25 double plays, but he had 95 RBIs. 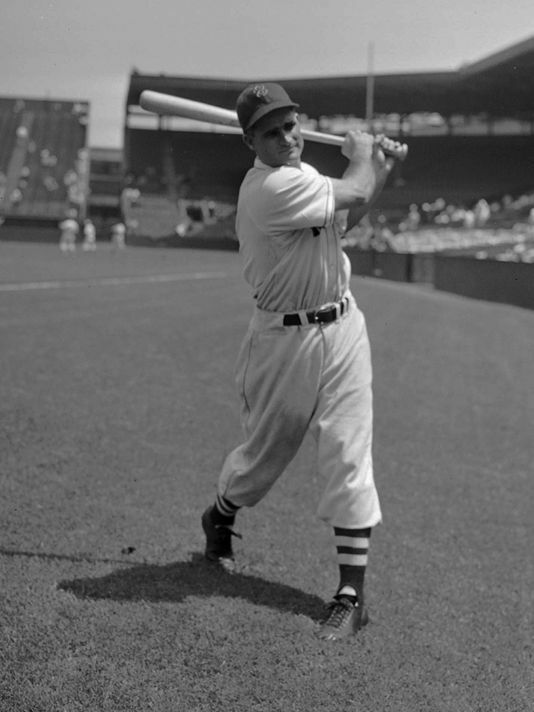 He hit .285 with 27 home runs and 111 RBIs in 1948. 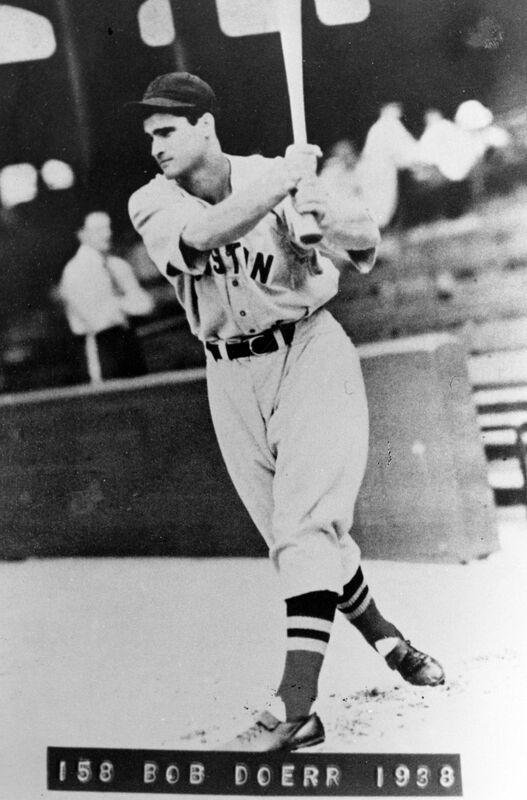 Bobby Doerr had set an AL record in that year by handling 414 chances in a row over 73 games without an error. In 1949, Bobby Doerr hit .309 with 18 home runs and 109 RBIs. At the start of the 1950 season, Doerr was in a slump; he was only batting .232 as of June 2. However, he finished the year with a league-leading 11 triples, and batted .294. On June 8 of that year, he hit three home runs in a 29–4 romp over the Browns. He set career highs that year in triples, runs (103) and RBIs (120); he tied his career high in home runs (27). Doerr appeared in only 106 games in 1951 and he retired that September after suffering from a spinal problem for two years. 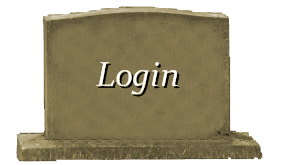 Bobby Doerr died on November 13, 2017, in Junction City, Oregon, at the age of 99.